"My Man's Secret" takes over KBS2's Monday-Friday 19:50 time slot previously occupied by "Unknown Woman" and followed by "Mysterious Personal Shopper" on February 26, 2018. Kris Feb 21 2018 5:17 pm Why did that man cut that woman’s hair? Why is it okay to kidnap and imprison a woman in a pantry? Really? How did that man walk free doing that to his own wife in the basement and it was on video? Will that little girl ever know her dad isn’t getting treatment but died, except he didn’t die yet? Kris Feb 21 2018 9:12 am Seriously are they voting to decide if the woman can raise her own baby? When is this over? Jamse Feb 20 2018 11:40 pm It’s probably not going to happen, but the ending sure seemed to set it up for a sequel. Kris Feb 13 2018 9:21 am Shouldn’t someone call the cops? NellyJelly_ Feb 12 2018 3:03 am This drama was really something. The beginning was ok and then it got dry and then it got really good especially with Yang Mi-ryung’s story (and she’s my favorite character in this drama hands down). And then there were a series of twists back to back that had me going but then the ending was abrupt and disappointing. It left a bad taste in my mouth. 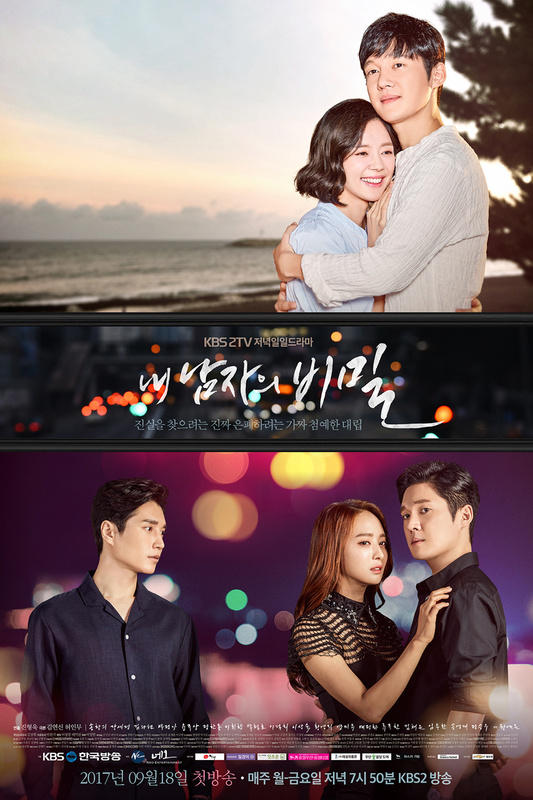 The writers of this drama wrote my favorite drama Heavenly Promise (second only to Ice Adonis) and I was hoping for something as good but this drama failed to live up to its predecessor. 6.5/10 stars. Haerim's Supporter Feb 09 2018 10:38 pm I'm currently at ep 95 and actually expected the drama to run until around ep 120! Oh no, how are they going to end the story with such limited eps left! Can I really get the ending I wanted? Oh no oh no! I really want everyone to go back to their original positions though, Seora-Jisub and Haerim-Inuk. The elders acting all high and mighty, saying they're doing everything for the sake of their children, is actually doing worse for them. And I don't think Haerim is as evil as she was put out to be, she only did what she did out of fear of being abandoned, which is something that was instilled in her since childhood. I also think that Haerim would've had a better chance of being Kangin Group's queen if she married Inuk in the first place. He IS the biological heir to the company after all right. And among everyone who said so, I think Inuk was the only one who sincerely loved her just as she is and was not expecting anything in return. He even went to prison for her! Gosh, I really hope, in the end, they work out their situation and get back together. And just as Seora had said, I too wish for Haerim to find happiness of her own and not cling to those that belong to others. CP Feb 06 2018 12:42 pm I agree with @Kris, too much cruelty to what the child HS is put through. She would need therapy in the real world. Wicked characters continually get away with evil deeds with no redemption. Also, despite all said and done to child, mother SR still allows her to be around such characters. Kris Feb 06 2018 9:20 am Why did I turn on KBS? Yes to see if more my golden life was on or something else equally good. Sadly it was this. What cruelty in Korea that they would make a child say such lines. Frustrating Jan 26 2018 8:07 am The main female lead role is so pathetic. I don’t understand why the writer made her to be so useless. Always losing her daughter and couldn’t make use of any evidence that make her came up on top of the game. All the evil characters doing the same evils deeds and never get caught. ?? Unhappy Jan 26 2018 7:50 am this is getting ridiculous episode 88 nothing good happening in suh ra’s life. arghhhh hate this drama now. Anne Jan 25 2018 9:12 pm Can they just end this drama already. I hope the next drama will be much better. I will rate this drama a half star. Kris Jan 15 2018 11:13 pm Can’t watch but a minute or two weeks apart. This is so bad. Can’t understand or beleive the ratings. KBS can do so much better than this. Barani Jan 08 2018 5:45 pm How can the main actress be completely foolish this whole series? Sophie Harlow Jan 05 2018 4:41 pm Poor Ki Seora, being betray by her own husband and her daughter got 50-50 chance to survive.... I hope she will end with Kang Inuk and met her real parents soon. Akeela Jan 04 2018 6:11 am Real Jaeuk is better than Han Ji sub. How could he betray his own daughter? sf Jan 04 2018 3:34 am Very few comments for a drama which is on the first two places. Jamse Dec 15 2017 2:57 am SPOILERS! Out of all the scummy characters on this show I think the worst is Haerim’s adopted father. Not only doesn’t he seem to care about whatever happened to his real daughter, he’s plotting to destroy Inuk who actually took the blame for Haerim’s medical malpractice, ending up in prison for her crime. Both of them complete sociopaths. Also, I wonder when Haerim will discover that Seora’s Adopted family is really her own? Emeraude@tr Nov 24 2017 12:45 am I don't like this kind dramas, but thema song is very nice. My last favorite one. Kris Nov 10 2017 9:06 am Over the top again. Jamse Oct 24 2017 9:03 pm I like this show but can we have an end to the Seo Ra’s character’s constant pop eyed shout fests? And I know it’s coming sometime in the show, but the sooner she loses that bird nest hairdo the better. unknown Oct 20 2017 12:12 pm is the secret of my love aired today or next week??? Kris Sep 26 2017 9:39 am How is it so many dramas have kids separated or missing from parents when they are on basically an island? The country is vastly monitored with security cameras. There are many kids in orphanages for those who want to add to their family. I really don't understand the inability to find a child? These are not kids who got separated during a difficult period in the country's history. DNA testing has been widely available for the last 30 years. It just doesn't make sense that these young people could not have been reunited with family properly. Several dramas are doing this. Kanja Sep 19 2017 7:24 am Song Changeui secret? I'm hoping not he has long lost twin brother, there was already drama like that with Heaven's Promise. This drama need more original plotline, something new & amazing. But seeing there is two Changeui pictures in cast listing I guess too late. Maybe the twin brother from Kang family will be evil? Like Cain & Abel level story...hmm I will give it chance. Jamse Sep 07 2017 11:44 pm Park Jung-Ah back to Evil. Loved her as Yun Sae-wa in Smile Again. Nobody can do that evil sneer while still looking awesomely beautiful like she can. Kris Aug 22 2017 8:33 am Please no series identical to the promise, first love again and unknown woman. No more revenge drama. Something original. Something plausible. Something that doesn't use kids as props or abusing them. Please. looop Aug 18 2017 2:40 am i think Song Chang-Eui will have a dual role.